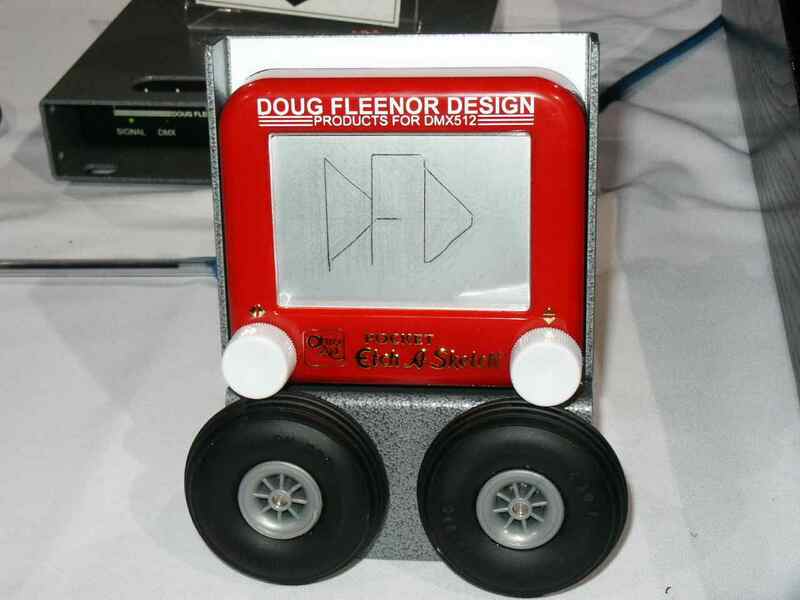 Doug Fleenor Design showed an Etch-a-Sketch controlled by a Hog II at LDI 2003. View the movie below, or download it. View a large still picture of the result. 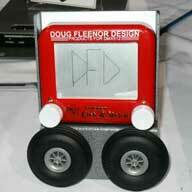 DMX-a-Sketch movie Copyright © 2003 Doug Fleenor Design. All rights reserved. Pictures reproduced on theprices.net with permission. Do not reproduce in any way without permission from the copyright owner. Links to these web pages are welcome. Do not link the files directly.